If I use food rewards in dog training, does that mean I’m “bribing” him? 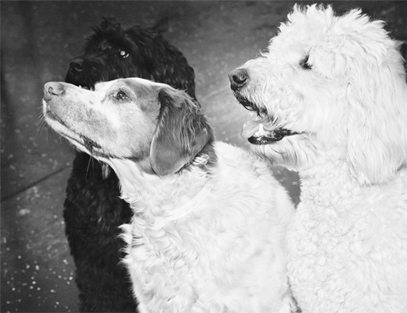 There is still such a misconception in the dog training world that if we use food treats, we are essentially “talking the dog into…” listening. Bribing doesn’t work. It won’t work with any type of reward, whether it’s treats, games, attention or even affection. It certainly won’t work for long! There is a difference between a bribe and a lure. The lure and reward system of learning in dog training is undoubtedly the fastest, most humane and FUN way to teach a dog. When using food treats as the reward, bribery is basically offering a yummy tid bit AFTER the dog has knowingly refused to perform the behavior asked. The dog said, (if the dog could ‘talk) “Nope! There’s a squirrel over there, and I’m NOT sitting!” If you offer the reward BEFORE and THEN they follow your cue given, this is a bribe. Reinforcement is your PAY for a “job well done.” The dog made the right choice BEFORE following the cue or “command” given. When the lure is presented before the desired behavior, this allows you to teach the “meaning” of the command given. In other words, when the dog makes the right choice to sit regardless of the presence of the squirrel, a reward is well deserved! Job well done! You saw the squirrel, sat, made the right choice, so BOOM! The “pay” is yours. If you use the effective technique of “luring” this is perfectly acceptable and not bribing if you are teaching FIRST, the meaning of what the command is and what you expect. The mistake that many pet parents make when using reward based methods of learning is that their timing is off. The trick is to keep your treats hidden! You only want to show the treat after the dog has successfully completed the task asked, and not before. If the dog is making mistakes, you have set him up to fail. You’ve expected too much too soon and most likely the dog isn’t ready to be instructed to sit that close to the squirrel for example. 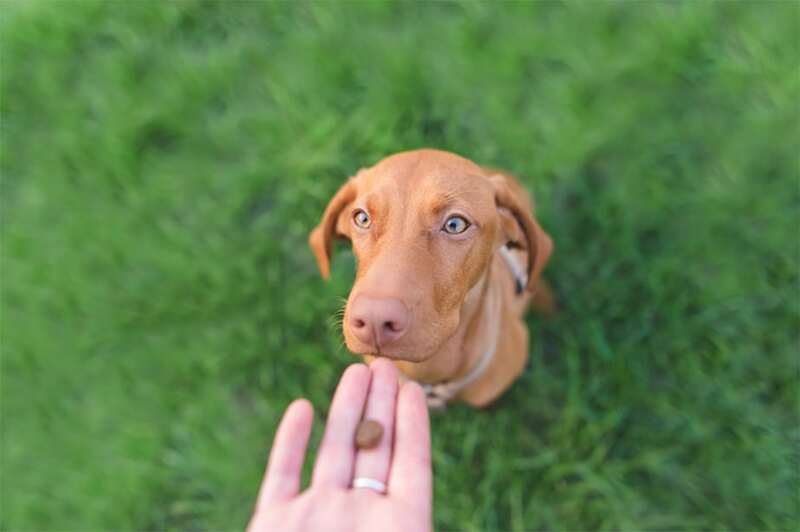 Once your dog understands the hand signal or verbal cue and can perform the behavior asked, simply use a closed hand gesture keeping the treat hidden in your pocket or bait bag. You don’t keep the treat in your hand anymore. It’s the surprise treat for acting properly after the command or cue was given. Bribing just doesn’t work, and when it does, it certainly won’t be a long lasting method of learning. The “teacher” must have impeccable timing and more importantly once the command or cue is learned, be sure to phase out the food treat. Gradually, with success it’s important to phase in various other rewards in dog training. Your voice, your touch, a squeaky toy, a ball, a game, dinner time, an allowance onto the couch with you, whatever you choose. The world of rewards in dog training is “your oyster!” Only you know what your dog loves most and holds dear. Use those things as the reward for behaving and responding and eventually you won’t need the food anymore. The food isn’t a bribe. It’s a way to teach the dog that listening is a part of life, and that life with you, is all that and a bag of chips…or liver treats! Treat based methods of learning can be a powerful tool in teaching dogs and it’s the easiest, almost foolproof way to motivate. Overuse of treats can lead to bribery where the dog will only respond if you have food so be sure to avoid this at all costs! If you always remember that the treats are for a reinforcement after the good behavior and you phase out the food with various other rewards, you are on the right track to keeping learning fun for the dog, and for you!